Shehan Hettiaratchy is a triple fellowship trained Consultant Plastic, Hand and Reconstructive Surgeon who specialises in all aspects hand surgery and complex extremity reconstruction. He is the Lead Surgeon at Imperial College Healthcare NHS Trust. 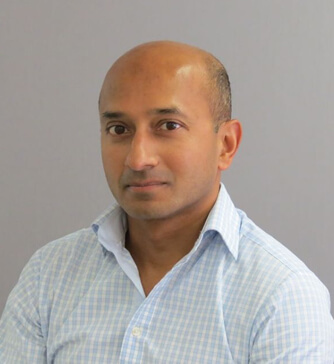 Born and raised in Hampshire, Shehan was educated at Winchester College and studied medicine at Trinity College, Oxford, graduating in 1994 with prizes in both medicine and surgery and a blue in boxing. He underwent surgical training in London, USA and Australia. He obtained FRCS(Plast) in 2007 and has been on the GMC specialist register for plastic surgery since 2008. He has completed fellowships in microsurgery/extremity trauma reconstruction (Imperial), cosmetic surgery (Wellington Hospital) and hand/wrist surgery (Sydney). He has been a consultant at Imperial since 2009. Since being a consultant he has led the development of the extremity reconstruction and hand service at Imperial. Shehan carried out a 3 year research fellowship in hand transplantation at Massachusetts General Hospital, Harvard Medical School, for which he was awarded a Doctorate of Medicine by Oxford University, a Hunterian Fellowship by the Royal College of Surgeons of England and the Pulvertaft Prize by the British Society of Surgery of the Hand. He has authored over 70 papers, 2 textbooks and numerous book chapters and is lead for trauma research at Imperial. Shehan’s main clinical focus is on hand and wrist surgery and extremity reconstruction. He has particular expertise in hand injuries, reconstruction of complex upper and lower extremity injuries, nerve injuries, infective complications and elective hand surgery. He believes in putting his patients at the centre of all that he does and only accepting the best. He is experienced in the needs of high profile individuals, including professional sportsmen and women. When not working he enjoys running, often after one of his four children. Shehan is a reservist with the British Army serving with Airborne Forces. He has been deployed to Afghanistan twice and has also worked with civilian organisations in other war and disaster zones.